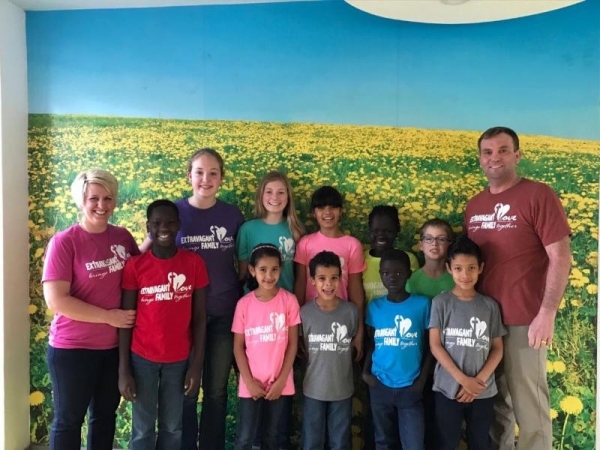 The Wienke family is very large, they already had six children, but that was never an obstacle to start their process of adoption in Colombia a year ago and add a group of four siblings to their family. This family is a real example of deep love. When they learn about the background of the siblings and that there was a possibility of separating them, they decided to adopt the four children together, to give them the opportunity of growing in a loving home. Paula, Daniel, Maria José and Jonathan are very special children, who grew up under the protection system, with a foster family that gave them lots of love. However, that was not a permanent home. Last February, finally, their dream came true. They now have a family that protects them and gives them the possibility to remain together as siblings.